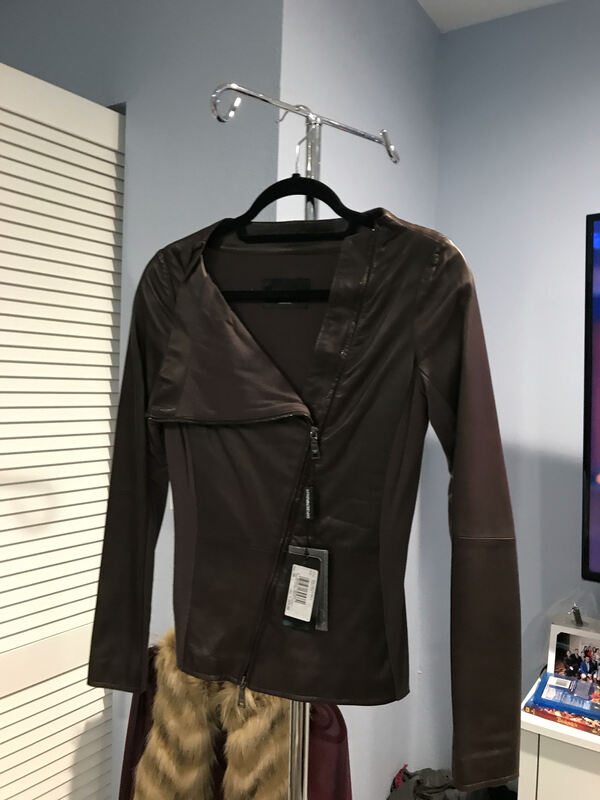 Chocolate colored Lamb Leather Jacket. Never worn. Size 38 and fits snugly. I am 5'4" and weigh 110 lbs. with a bust size of 34 C.